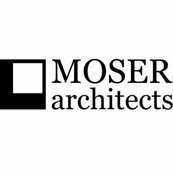 We recently finished a large scale renovation and addition with Sarah at Moser Architects and cannot speak highly enough about her. From our first meeting, Sarah truly got what we were looking for and helped us create a home that is absolutely perfect for our family. Sarah's commitment to her clients and her work is remarkable. Sarah was with us every step of the way, from design to move in and beyond. Sarah's creative use of space allowed us to build a home that meets all of our needs and more while maintaining our yard space and creating a home with character, charm and old world detail. We can honestly say we give Sarah the highest praise and truly enjoyed working with her every step of the way.